Three years after it was designated Oregon’s newest American Viticultural Area, Steve Robertson says big things are beginning to happen in The Rocks District of Milton-Freewater. Dramatic cobblestones are what distinguishes The Rocks District of Milton-Freewater, Oregon’s newest AVA, which was designated Feb. 9, 2015. Robertson, owner of SJR Vineyard and Delmas Winery, was a key figure in establishing The Rocks District, which was approved by the Alcohol and Tobacco Tax and Trade Bureau in February 2015. He serves as president of the Rocks District Winegrowers, a nonprofit formed last summer to promote the unique landscape and wines within the district. It can take decades for a new AVA to gain acceptance in the wine world, Robertson said, though The Rocks District is already garnering recognition from some of the industry’s biggest names. Harvey Steiman, longtime editor at Wine Spectator magazine, recently described the district as “the most distinctive terroir in America” for its rugged, stony soils. The wines themselves are also receiving acclaim, with 25 local wineries scoring 90-plus points out of 100 with Wine Spectator. Critics are especially impressed with the quality of Syrah varieties. Robertson said there is evidence of wine grapes being grown in the area as far back as the early 1900s. The unique geography, he explained, makes for premier growing conditions. The Rocks District is a subset of the Walla Walla AVA, though it is located entirely in Oregon. 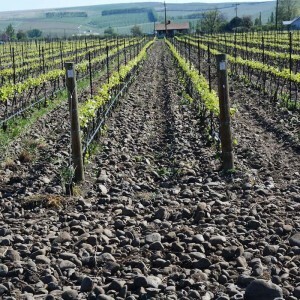 It is the only AVA predicated on one single soil series, characterized by basalt cobblestones — and lots of them. The land was essentially formed over thousands of years by the nearby Walla Walla River, which washed down from the Blue Mountains and depositing gravels up to several hundred feet deep. Geologists call it an alluvial fan. Robertson calls it tremendous terroir. Not only do the rocks allow for incredible drainage, he said, but the surface stones also act as miniature radiators to ripen grapes later in the season. “It’s not because we’re geniuses. It’s because of that terroir,” Robertson said. The Rocks District covers 5.9 square miles and has grown to include 37 vineyards, with more in development. Robertson said a producer from Rioja, a wine region in northern Spain, has purchased 10 acres in the district, while Willamette Valley Vineyards, one of Oregon’s top wine producers, will plant its first 5 acres in the district in early 2018. 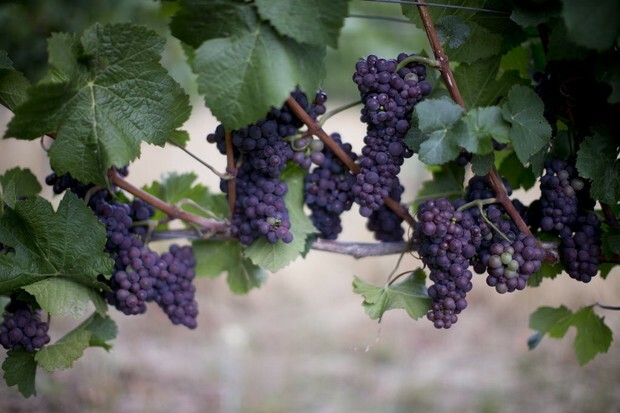 Willamette Valley Vineyards, based south of Salem, is not new to the Walla Walla Valley. The company first purchased 42 acres in SeVein Vineyards near Milton-Freewater in 2015, growing mostly Cabernet Sauvignon. Christine Clair, winery director for Willamette Valley Vineyards, said they purchased 36 acres of former apple and cherry orchards in The Rocks District, which will eventually become an estate vineyard for their local brand. “We think this is one of the most interesting wine growing areas in all the new world,” Clair said. The goal of The Rocks District Winegrowers, Robertson said, is to continue telling the district’s story as the AVA garners more attention and investment from around the world. The nonprofit currently represents 20 different growers. Robertson said another 165 acres are in development. In 10 years, he said, The Rocks District could become a major player at the global level. Robertson said the nonprofit will be meeting in mid-February to decide upon its members’ ambitions and marketing goals. First, he said, they need to build up their volume. Consumer awareness will then follow. Tom Danowski, president of the Oregon Wine Board, already likes what he sees out of The Rocks District. 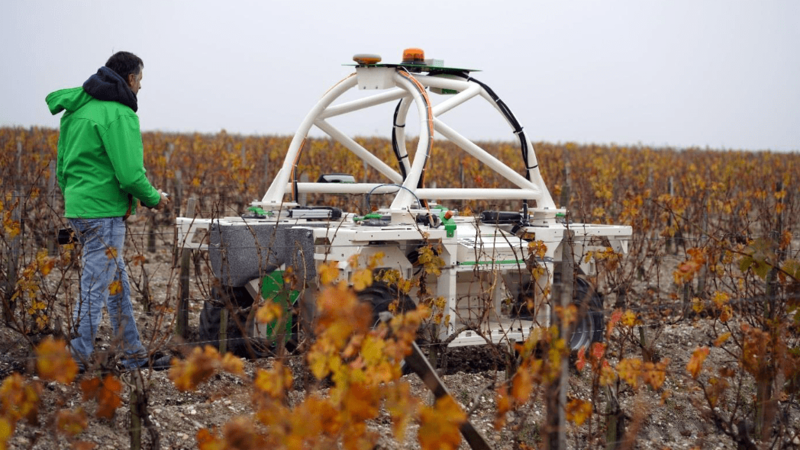 The AVA, he said, is like a “turbo-charger” for highlighting the Oregon side of the Walla Walla Valley. Along with critical acclaim and a passionate group of advocates, Danowski said those are the tail winds that can help an AVA take off fast. “The potential is just going to be extraordinary,” Danowski said. Robertson said The Rocks District must prove it can walk before it runs, but ultimately he believes it will become the most important AVA in the Northwest.